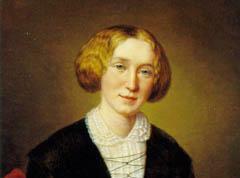 George Eliot List - Groups - Yahoo! Mary Ann Fvans born 22 November at Arbury Hall Farm moves to Griff a few months later. Mrs. Wallington's School; meets Maria Lewis, the principal teacher. Misses Franklin's School; learning French. Mother dies, goes home to keep house at Griff for her father. Undertakes chart of ecclesiastical history. Learning Italian and German with a tutor; also studying Latin; publishes first creative work, a poem in the Christian Observer. 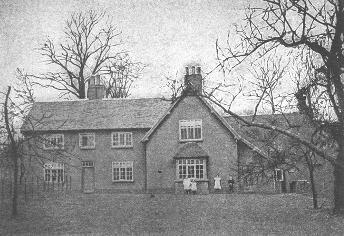 Moves with father to Bird Grove, Foleshill, a location near Coventry; meets Charles Bray and his wife, Caroline Hennell Bray, on 2 November. Translating bits of Spinoza for Charles Bray, parts of both the Tractatus theologico-politicus and the Ethics. Begins translating Strauss's Das Lehen Jesu (The Life of Jesus); studying Hebrew. Translating Spinoza's Tractatus as a calming occupation during her father's last illness; Robert Evans dies in June; Mary Ann travels with Brays to Europe and remains in Geneva for eight months, five of them with the D'Albert Durades. Reviews Mackay's Progress of the Intellect for Westminster Review; meets Herbert Spencer. Meets Bessie Parkes and Barbara Leigh-Smith (later Madame Barbara Bodichon); 1 January, publication of the first issue of Westminster Review under her editorship; friendship with Lewes; translating Feuerbach's Das Wesen des Christentums (The Essence of Christianity). Moves from Chapman's to her own lodgings. Feuerbach translation published end of June; leaves with George Henry Lewes for Weimar, 20 July; begins translating Spinoza's Ethics, 3 November. Finishes translating Spinoza's Ethics. 19 February; begins "The Sad Fortunes of Rev. Amos Barton," 23 September. 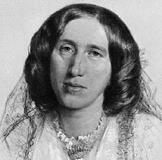 Scenes of Clerical Life begun in Maga (Blackwoods Magazine) under pseudonym George Eliot; 22 October, begins Adam Bede. Scenes of Clerical Life published in two volumes by Blackwood. Adam Bede published by Blackwood in three volumes, 1 February; sister Chrissey dies, 15 March; second edition of Adam Bede in March and a second impression of this edition in April; begins The MilI on the Floss; third edition of Adam Bede in June and a second impression in July, a third in August, a fourth in October. Italian journey with Lewes in March; Mill on the Floss published by Blackwood in three volumes in April and runs to a third impression by May; begins Silas Marner, 30 September, finishes 10 March 1861. Silas Marner published by Blackwood in April; begins Romola in October. Romola begins in Cornhill Magazine in July (runs for fourteen monthly installments). Romola published in three volumes by Smith, Elder and Co.; Eliot and Lewes buy the Priory, 21 North Bank, Regent's Park. Starts with Lewes and F. W. Burton for Italy; studies Spanish. January holiday in Paris; has begun Felix Holt, the Radical by March; excursion in November to Brittany. Felix Holt published by Blackwood in June; starts with Lewes for Holland, Belgium, and Germany; in December travels to Spain. The Spanish Gypsy published by Blackwood, 25 May; with Lewes in Germany and Switzerland. Travels with Lewes to Italy in Match; meets John Walter Cross in Rome, April; begins Middlemarch August; Thornton Lewes dies 19 October. In Germany and Austria with Lewes; experimenting with "Miss Brooke" in December. Acutely ill for a month; Middlemarch, book 1, published by Blackwood in the first of eight monthly parts ending in December 1872, when it was published in three volumes. Ill in January; in Germany with Lewes, September and October; ill in December. 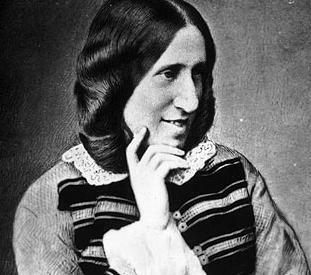 Holiday in France and Germany from June through August; studies Jewish subjects; Thornton Hunt dies in June. Lewes reads opening chapters of Daniel Deronda in June; holiday with Lewes in France and Belgium in October; two excursions in Wiltshire. Herbert Lewes (Bertie) dies in Natal. Daniel Deronda, book 1, published by Blackwood, 1 February, in the first of eight monthly parts through September; to France and Switzerland with Lewes, June, July, and August; Daniel Deronda published in four volumes in September; purchases the Heights at Witley with Lewes, December. Lewes very ill in June, worse in October and November, dies 22 December. Working on Lewes's Problems of Life and Mind; John Blackwood dies in October. Marries John Walter Cross in May; trip to Continent; moves to 4 Cheyne Walk, 3 December; dies 22 December. * This extract is taken from Elizabeth Deeds Ermarth, George Eliot (Boston: Twayne Publishers, 1985). George Eliot's Birthplace, South Farm. Last updated: 29 December 2012.